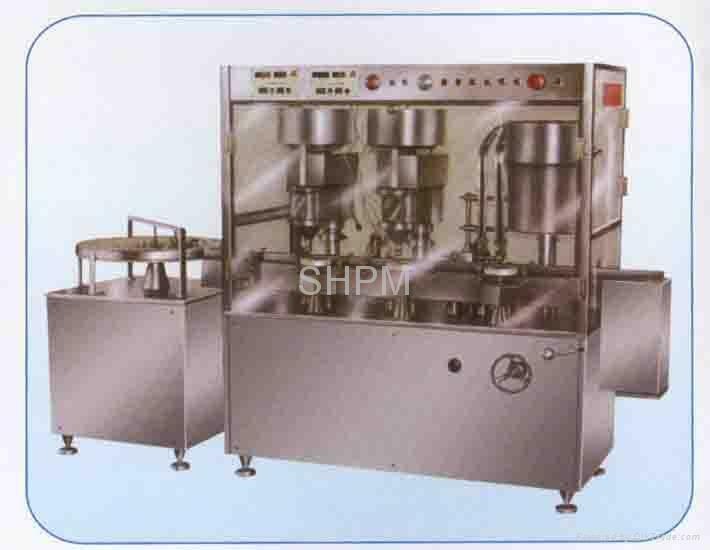 This liquor filling and sealing equipment is specially developed and designed for the bird’s nest bottle and other wide mouthed bottle, which can automatically complete the operation of bottling, filing, lidding, lid-revolving (or lid-pressing) etc. 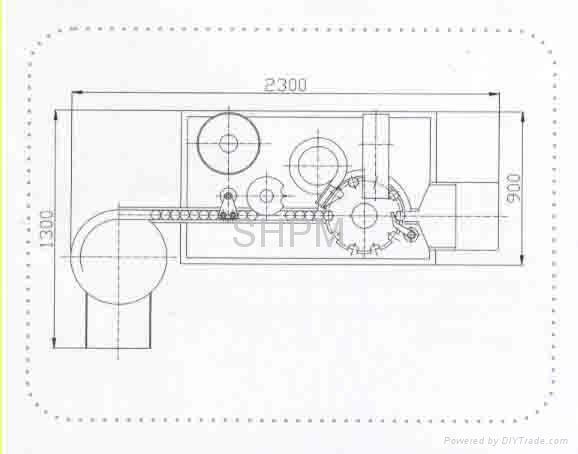 The operation of filling is carried out by revolving valve structure, which is especially applicable in the filling of ointment and liquor with granule. 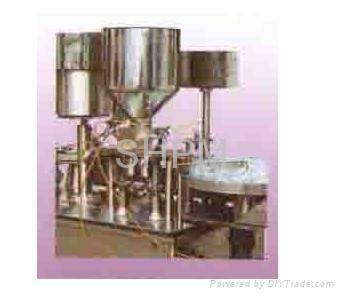 This machine is compact in structure with its high reliablibity and adaptability.